“Three of the Lahore School Graduates were selected from among five candidates from different universities by ICI -- a renowned multinational,” announced the Lahore School Placement Office. Not a small achievement. So what is it that generates the probability of bagging high profile jobs in a tight market? What are the local entrepreneurs and multinational employees looking for? Obviously, companies require a rightly educated and skilled workforce with a heavy emphasis on educational backgrounds. Lahore School of Economics is alive to this situation in the market. It's for this reason that the Lahore School of Economics has become a fertile recruiting ground for businesses and the Lahore School graduates are uniquely positioned to fill the anticipated employment void many of these companies face. To better assess the requirement of the perfect employee, let us consider what they need. Any employer places a high value on business skills, in particular with a slant to knowledge about economics, marketing, finance. It is a known fact in corporate Pakistan that many of the businesses do not anticipate problems in attracting qualified talent; abundant employable human resources are available to choose from. Businesses look first to their personal network, and second to academic institutions to identify potential talent to meet their requirement. What more can the Lahore School graduates do to always position themselves within the futuristic firms that are growing with time? Answer: Learn maximum while at the Lahore School. Rest will follow. There will be no power outage in the Main Campus of Lahore School of Economics in future. Caterpillar electric generator of 365 KVA has been added to cater for the Lahore School needs in case of power failure. Lahore School has developed a beautiful Main campus on Burki Road. The new Campus adds far more than just the space. It is a physical identity that mirrors and enhances the School’s mission. The facility, by its design, is as innovative, dynamic, and creative as the school programs. Auditoriums and cottages that are oriented towards the needs of faculty and administrative staff create mini-communities within a larger school community, and serve the differentiated needs of the unparallel business school. In addition to the auditoriums, central library and the computer laboratories, the Main Campus has vast spaces for curricular as well as extra curricular activities: Multi purposes gymnasium, sport grounds, residential blocks for male as well as female students. Fully-networked buildings allows for internet access from everywhere. Lahore School provides cottages style accommodation for male and female students. Each cottage, in girls’ hostel has equipped kitchen including cabinets, refrigerators, and washing machines. Boys’ blocks have small functional kitchens in each block. Lahore School has a great café for every one to enjoy. Attached lounges in the café building has big screen color TV and satellite receiver, snooker room as well as tennis table. The café is the center of activities throughout the day, with students eating, socializing and even studying together in this cozy place during their free time. One of the highlights of the Main Campus is its versatility — students can take advantage of the recreational areas like café to work on academics with their colleagues. Secondly, the reaction to the students’ requirement sends the message that students’ needs are being recognized and taken seriously. Such initiatives transform the quiet center into a hub of activity and create a more integrated and vibrant students’ community. Update: There are two 365 KVA generators catering the growing electric needs of the School now. Lahore School of Economics MBA II students displayed how public and private sector non profit organizations should market their services through creative and lively skits at the Main Campus today (October 27, 2004). Chosen organization in the class project were SOS, Sahara (Trust for Life), Shaukat Khanum Memorial Trust, WAPDA, Edhi Foundation, Punjab Mental Health Institute and Aziz Jehan Begum Institute for Blind. The dynamics of nonprofit and public organizations and their unique marketing challenges were addressed. The students' presentations were based on the field work and primary data collected from the organization. In recent years marketing has rapidly expanded its application from being primarily a commercial practice, to being used to increase the effectiveness and efficiency of a range of non-profit activities. Over the past decade marketing has been adopted by public sector and voluntary agencies to improve communication with key audiences and enhance service standards. The marketing course at the Lahore School provides students with the opportunity to work with the organizations or government department to create a social or broader non-profit marketing program and campaign. This display in front of an enthralled audiences not only introduced students to the basic theory and principles of non-profit marketing, explaining how techniques like advertising, billboards, and the communication can be used to tackle important social and health problems as well as be used by the public sector in delivery of services. The display also explored how the special needs of the non-profit sector have expanded the field of marketing in areas such as marketing to large donors and to small gift givers who regularly support non-profit organizations. Creativity was so evident that at the end of many skits, students and staff watching the display also contributed cash to the cause propagated. On the occasion, the Lahore School's Main Campus was decorated with creatively prepared advertisements that showed touching and strong messages. It's that time of year again: the leaves are turning orange, and the Lahore School professors are once again assuming their class is the only one students take. Midterms are ruling your life. With tests every day on minds, it's no coincidence that students require some of the greatest concentration of mental health issues. Now when the work really starts pouring in, the need to beat stress becomes very important. I'm no psychologist, but if my own student days have taught me anything, it's the way to blow off steam. The trick is to take your mind off your work, even if only temporarily. The brain needs a little break every now and then. So for those of you who are sitting late at night thinking what to do while sitting in Auditorium 6 or Central Lab, try the alternatives first. Here is the alternative: Relax, relax! Sounds very simple? It is, for those who are prepared. No? So, I think the ideas will appeal to you. If not, then obviously I'm not cut out for the advice business. But here is another good bit of advice: if you're feeling overburdened around this time of the semester and you cannot get together your thoughts and concentrate on your exam tomorrow, day after tomorrow, then look around for someone to talk to. You've got plenty of options, from folks at home to your fellow students to one of your professors. There's no shortage of compassionate people at the Lahore School, and, they know what they're doing. Good luck! MBA 2 (Marketing Class) is doing a class project. Students are doing it in a different way this time. They will show how non profit organizations market their services in the form of very lively skits. Interested too watch (read learn), be in the Café at the Main Campus at 9.30. Professor of economics at the Lahore School of Economics, Dr. Salman Ahmad did his masters in economics from Government College Lahore. He obtained his degree of doctorate from International Islamic University, Islamabad. His thesis -- A General Equilibrium Model of Custom Union among Muslim Countries – was on how Muslim countries can benefit by joining and working together in the field of trade and commerce. Professor Salman writes research articles in Lahore Journal of Economics and other research journals. Studying at the Lahore School of Economics till date has been good. Just like every single student on earth, I also claim that of course our batch is the best one ever!” I believe I’ve found good relationships and have understood a lot that I needed to. The best thing about our batch (MBA-2, Class - 2005) is that there is no disparity, no inequality in terms of personal, social or cultural barriers. Every single student is co-operating, willing to take responsibilities and not so proud of what he or she is not and, if I may add, this batch represents all of. Of course it does! The faculty including professors as good as Dr. Sohail Zafar, Ayesha Raza, Professor Fareed.A. Fareedy, Dr. Zia ul Hussain and others have turned out to be magicians for me, given the fact that I had no proper finance and statistics background! Today, I believe that elsewhere it would not have been possible for me to achieve this amount of knowledge, which I have accumulated here. Combining that with our teaching associates and of course, not to forget my class fellows, forming up groups and working together as a team. Examinations are a test of students' knowledge and understanding of subjects in a challenging environment. They value the skills and ability to understand what is being taught and make them to prepare before hand. If they are surprise quizzes, they make to cover a lot more. Exams always make students to be specific and focused. Every student has his own unique strategy to succeed in examinations and to bag good grade. To me, the best is to be organized from the beginning of studies. Make sure you understand what you read. Take notes from your reading. Explain what you have read in your own words. Study regularly and avoid wide gaps in your studies so that, when the exams come, the only thing you have to do is to call to mind what you have already learnt. I have also found it useful to practice writing down on a piece of paper the knowledge I have of my subject. This shows me what my strong and weak areas are. Remember that exams are not the end - they are just one aspect of your student life. 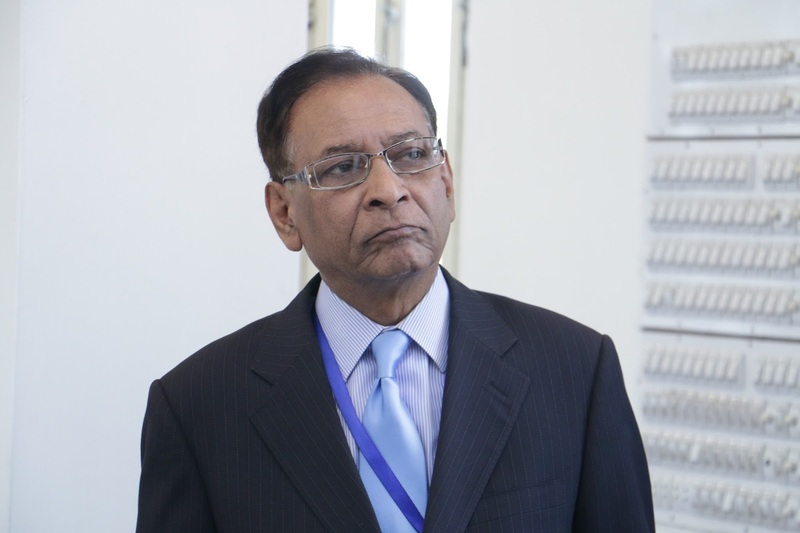 The Senior Research Fellow at the Center for Advanced Research in Economics and Business, Dr. Muhammad Rafiq Khan has been associated with teaching and research most of his working life. Here at the Lahore Schools he writes research papers and (real life) research based cases for the Lahore School students. Apart from his continuous association with research Dr. Rafiq has been teaching biochemistry, applied chemistry, project management, and general management for about twenty years in leading institutions. He has also held senior administrative as well as academic positions in his long career. Dr. Rafiq has strong relationship with the written words. He has been editor of academic magazines, has written over thirteen books, some of which are a part of curriculum at learning institutions in Pakistan not to mention long list of articles in international research journals. In addition to empirical observations, analyzing data, comparing variables and drawing inferences, Dr. Rafiq has written a travelogue (after having roamed around in half of the world), what is more, poetry (two compilations) and two volumes of “In Search of Appropriateness Series,” which is an attempt to sort out what is appropriate and what is not for the developing countries . This is an exam week. Do you feel a lot more stress during mid-terms? A certain amount of tension is expected and normal during an exam period. Actually, a little anxiety helps to heighten the awareness and can enhance your performance. The exams are the application step of the study efforts and not a threatening new experience, which every student should be able to cope with: Rest, exercise and relax between exams, adopt a positive approach and keep the spirits up. Have you considered preparing a general schedule? Display the date sheet on your study table (good old way), plan how much time you can allot to studying for each course; remember that your hardest course will require more time. This will avoid last-minute cramming. Use the odd moments -- in the shower, riding to the campus, walking across campus -- for recall and review. Run through the information frequently; this will ensure that you remember it and will broaden your understanding. Do not study for two similar courses consecutively. It is better to break the pattern with a completely different study approach. Respect your concentration span. Starting your exam period with impossibly long study periods is likely to leave you exhausted before it is all over. Stick to your normal daily routine as much as possible. If you do get off your routine and need extra time, avoid staying up all night; go to bed at your regular time and get up a couple of hours earlier than you normally would, to continue studying. You will be able to understand and remember more when you are rested than you would if you postpone rest. The shorter you are on sleep the less clearly you will be able to think and write what you know while sitting in the exam auditorium. Last but not the least, take care of yourself. In addition to taking an organized and calm approach to studying, you need to make common sense and moderation a general life style during this and other times of stress. Professor Fareed A. Fareedy did his MBA (Marketing and Finance) from Long Island University, New York and MA Economics from the New School University, New York and also PhD (ABD, all but dissertation) in economics from the same University. He has been teaching in different national and foreign institutions since 1982 before joining Lahore School of Economics. In his last position in the United States, he served, till early 2004, as the Chairman of the Department of Economics-Government-History at the Union County College, New Jersey. Professor Fareedy has written books titled An Economic Solution to the Poverty in Pakistan, An Introduction to Marketing Management’ and numerous research studies for organizations like ILO and the World Bank, and other research articles that have appeared in newspapers and magazines. After having obtained my MBA degree back in 1999 and roaming around for 'exiting opportunities' in half of the world, I think I am now aware of the value that an MBA degree offers to both students and employers, locally as well as abroad. Obviously, the MBA still holds strong appeal as a stepping-stone to a more lucrative and challenging career path. What is more, evolution of the MBA and its role in the job market is still doubt changing. The multitude of MBA programs and the demands of a competitive, global economy have made the process of selecting the right business school and the right MBA graduate quite rigorous for both students and employers. Both are trying to anticipate long-term needs in preparation for the marketplace of the present times. MBA candidates, looking forward to their careers or perhaps to the exciting prospect of entrepreneurship, cannot afford to presume that every MBA program will meet the educational requirements specific to an industry or profession. 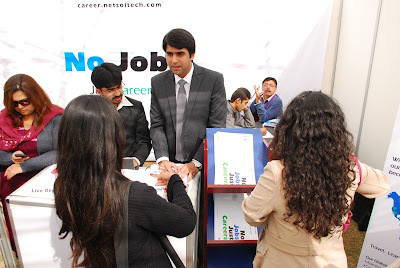 In today's job market and that of the near future, just as no one would consider applying even for a secretarial job without having both well-honed computer and administrative skills, the MBA graduate will be expected to deliver both technical and non-technical skills in every business and industrial sector; national as well multinational. As in other areas of graduate study and related employment, the focus is, and will continue to be, on specialized expertise in business management. By my own experience, I can tell that the employers at most major companies are aware of the makeup of the leading business school programs. The perceived value of the MBA degree has already changed considerably in the student community and within the concerns that hire MBA graduates. Today's graduates are under scrutiny to improve the standing of the degree in the corporate world. How does this job market realignment affect the MBA holder's chances for a lucrative career in finance or marketing? The answer is often times more in the attitude of the prospect than in the present and future states of the job market. These behavioral issues resound throughout not only the financial sector but also the finance departments of major corporations. Because management and finance are functions common to every conceivable type of business or industry, it is difficult to make predictions about job growth for MBA's in local job market. However, although it may sound simplistic, it is still true that career opportunities will most likely continue to exist for talented MBA's in nearly all areas of the marketplace into the future -- tremendous variety of positions still attract MBA's to accounting, management consulting, consumer products companies in functions including marketing, finance and operations. Even many nonprofit organizations are recruiting MBA's to help them redefine and reshape their organizations both economically and socially. Empirical observations show that students earn good grades. They work hard for this. Just how important are the grades to future employers? Are those long hours at the library and those all-night study sessions really worth it? Keeping the grade point average (GPA) up can be vital to academic success. Slacking off could land any one on academic probation in the first place. Plus, maintaining a high GPA is crucial to those who dream of attending top graduate schools abroad. Some time ago, most employers did enforce condition of academic standards on their applicants. All other factors being equal, employers were more likely to choose the candidate without asking about the grades, but things have changed now. Employers, local as well as multinational concerns, have started placing GPA condition in their employment Ads. Some even pay closer attention to the grades candidates have earned during junior and senior years than to the overall transcript. So those who have had poor grads should try to make up in the university education. Employers also take a university's reputation into consideration. 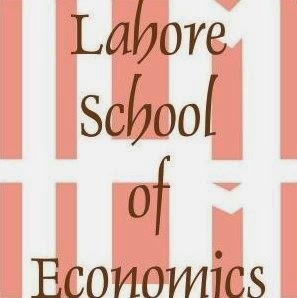 Lahore School of Economics has earned a good reputation in the job market. Why let the GPA fall below your dream employer's minimum standards? Dr. Zia ul Hassan, the Controller of Examination, Lahore School of Economics, obtained his Ph.D degree in economics with specialization in “Quantitative Methods in Business and Economics,” “Economics, Money and Banking,” from the Graduate School of Business Administration New York, USA. Earlier, He did his Msc in Pure Mathematics from Institute of Science, Nagpur University, India. His main interests are academic programs and curriculum development, general organization and management, personal selection and administration and research planning and implementation. Dr. Zia has been independent business and education consultant to the University of Manchester, Technical University Ankara, and the Registrar in Inter University Board of Pakistan besides teaching in different national institutions and abroad through out his long academic career. Aptech World Wide wants Marketing Executive with at least 1-2 years of experience. Daily Khabrain needs a female for the post of Tele Marketers Levis Strauss Pakistan Pvt. Ltd is looking for suitable person for the post of Marketing Coordinator with experience in Advertising Agency. During their interaction while in the the Lahore School, students learn from business experiences and expertise through students industries interaction, and they benefit from industral resources. In turn, they give back to the industries through improved performance and greater commitment to their future in the field. And this student industry interaction is not only a great way to test the academic waters now but also to experience some of the joys and frustrations of learning. Such initiatives are mostly taken by the educational institutions. But when local industries give back to education, it creates a win-win-win situation for students as well as the industry. Industries have much to offer to students. They can discuss a recent case history or research study, present a new business strategy, or address a current industry issue with the students. Students love to hear professionals talk about their business and tell it like it is. Experience shows that most professionals and industry leaders feel gratified by the interest and appreciation shown by the students in classrooms or while students bodies happen to be visiting the site. Industries can involve students in many other ways. Like every industry has research reports, directories, newsletters and other data that are periodically updated and through them companies can provide valuable information to students. Students are always thrilled to have current information. What better way to educate students about real-world challenges than by showcasing success stories? Industry leaders can also learn and get a feel for what students are capable of, which is helpful in recruiting. Students need real-world work experience to learn and succeed. Companies that offer internships and training to undergraduate students provide a win-win situation. Students get professional, on-the-job experience; companies get inexpensive, part-time help and the opportunity to recruit the best graduates and develop others who can better contribute to the industry. Companies that can't offer paid and full time internship may offer a shadow day. Students interested in specific industries and careers can be invited to shadow a professional during a day's worth of activities. Shadowing is an eye-opening experience for students, and a good recruiting and networking opportunity for you. Industry can also offer grant money to support research in specific areas. Arrange with learning institutions to conduct proprietary research by their students. These contributions provide rich research experiences and build the industry's body of knowledge. Dr. Shahid Amjad Chaudhry, the Rector Lahore School of Economics, in the ninth meeting of the Academic Committee announced appointments of Professor Viqar Ahmad as the Registrar Lahore School of Economics whereas Dr. Zia Hussain was given charge of the Controller of Examination with immediate effect. Professor Viqar Ahmad, the Registrar, Lahore School of Economics obtained degree of masters in economics from the University of the Punjab. He has been teaching economics in various institutions from 1955 to 73 and was visiting Research Fellow Oxford University from 1976 to 1977. Professor Viqar has also held various academic, editorial and administrative assignments during his long career in the field of education. Writer of three books -- The Management of Pakistan Economy, Resource Mobilization in Pakistan and Project Monitoring and Evaluation in South Asia – Professor Viqar has been consultant to international agencies and organization like ILO Asian Regional Team for Employment Promotion, Ford Foundation, United Nations Development Program (Sri Lanka) and more. Professor Viqar Ahmad has traveled around half of the world, attending high profile conferences and seminars and also contributing in different institutions -- China’s National Training Institute for Senior Civil Servants, Indian Administrative Staff College, Sri Lankan Training Institute for District Development Officers and in the Ministry of Finance, Maldives -- in the form of lectures on various subjects relating to economics. Independence, responsibility and self discipline! The hostels at the Lahore School of Economics, Main Campus, have had dramatic effects on students who reside on the Campus. Residents coming here with different aspirations, from mix backgrounds and dispersed geographical locations add to the hostel life. Life at the hostel is much more independent than living at home. It gives a real life appeal and inculcates self discipline and responsibility that are important to lead a practical life. The goal of the hostel is to be able to accommodate the students and provide a comfortable living. Lahore School does more than that. No complaints like space, congestion, overcrowding, noise. In a bid to find their opinions, randomly picked resident students were asked how they find living in the hostels at the Lahore School. Responses vary and show how students have adapted to the life here. Zunair Niazi MBA 1, dreams to get into the politics and progressive farming after competing his studies in the Lahore School and also abroad. He hails from Khanewal. Zunair thinks, “It is nice to have a separate furnished room to yourself, and sports and other recreation facilities at hand when studying is not the option. I feel the overall hostel experience here is one worth definitely having." Rbia Tahir is in BBA-1. She goes to attend the classes in the City Campus and stays at hostel in the Main Campus. “Living with my mom, who is the warden, I am enjoying home as well as hostel life simultaneously. In the hostel, I like to be with Kirn, Nadia, Saila Batool, Zammar Batool, and Huma. They all are in senior class and so helpful in my studies," says Rabia. A teacher through and through, Shoaib Hashmi is famous for his prolific work on Pakistan Television (remember Haqar Bakar, Sach Gup and Taal Matol) and now (almost) permanent column titled Tall Matol in the News on Sunday and another regular column in the Gulf News. After doing his MA in Economics from Government College and Msc from London School of Economics, Shoaib Hashmi also studied theater from Royal Academy of Dramatic Arts, London. He has been teaching economics along with all other things ever since. Discussing why study economics he says that Economics is an integral part of all aspects of life; it always has been. Changing trends indicate that economics ranks among one of the most popular majors chosen by undergraduates, and the majority of students enroll in introductory courses in economics during their undergraduate years. Given the impact of economic forces on our daily lives, the strong interest in economics is understandable. Completion of introductory courses in Economics provides individuals with a logical and consistent framework for understanding such basic concepts as business administration, inflation, the function of money, and budget deficits. Students who take Economics courses are better able to think critically about businesses. In addition, students gain a working knowledge of how the economy operates and adjusts to changing economic conditions. Taking economics courses, however, provides more than mere insights into the functioning of economies. Economics is a field of growing importance as preparation for both a variety of careers and programs of advanced study. The discipline occupies a strategic place. An understanding of economics is relevant to advanced study in many other fields as well. Since economic schools are an important element of any larger sector, and since all sectors are often influenced by economic forces, an understanding of economics is important for mastery of any field of human activities. Many careers, if not all, require the understanding and analysis of contemporary events and also are enhanced by the study of economics. These include virtually every profession one intends to pursue these days. For all of the career possibilities available to the student of economics, well developed analytical skills and written and oral communication skills will prove to be great assets. Students are strongly encouraged to cultivate these skills in their years of education. Professor Hashmi is recipient of the Tamgha-i-Imtiaz and the President’s Award for Pride of Performance. Born and educated in Multan, Dr. Sohail Zafar went to USA from where he did his MBA and completed his doctorate from U.S. International University California. After finishing his education he taught at the Western Michigan University. On return to Pakistan he started career at Imperial College of Business Administration and taught there for two years. Later, he went to Sharja and joined Sharja College affiliated with University of Houston. In April 1997, he came back to Pakistan to join the Lahore School of Economics. “Those days I had just 18 students and currently I am teaching more then 100,” he recalls. Choosing a job and selecting a particular field you want to be in for the rest of your life can be an incredibly hard task. In today’s society many career fields require diverse qualifications. When considering career options, try to think of the things that you enjoy doing. To be happy in a career field you have to enjoy the work that you are doing. Also try to consider the things you know you are good at. Maybe you are a social personality so working with people may suit you well. Those who find themselves unsatisfied with their jobs choices are the ones who have gone into that profession for the wrong reasons. Perhaps they were trying what their parents wanted them to do, or maybe money was the only motivation, or they were required to take over family businesses. Gaining experience through internship is a great way to help you discern what does and does not interest you as a future career. You may discover the job you always thought you wanted is not what you would like to do after all. Internship is a good asset when it comes to selecting and applying for employment and it can often help you to get a start in the field. Through internship you may gain vital contacts that will help you get into the field you desire, or at the least you will gain experience and that will be well received by future prospective employers. If you are unsure of what career to work towards, try to keep your options open. Try new things and do not be afraid to admit that something may not be right for you. Gain experience in different fields or choose a course of study that leaves your options open to many different career choices. Do not put limits on yourself or your options because the career paths and industries out there are endless, and the choice is up to you. Life on the campus provides opportunities for personal growth and leadership development for students. Integrating a person's knowledge, skills and abilities in and outside of the classroom provides a more balanced individual that help educate the whole person. Understanding that student input, opinion, and action, are important components for the success of each student and campus activities, we at the Lahore School of Economics strive to do provide an opportunity for creative expression, corporate interaction, and active participation in the more enjoyable aspects of college life. Students’ involvement on campus is encouraged in more than one way because this adds to the education and personal development of the students. Students’ societies (as well as faculty and support staff) provide opportunities for students to involve themselves at every level: learning, career readiness, responsibility, and leadership. Many alumni return to campus to meet with old friends or play football or to get their transcripts from Saira Chaudhry (no hassle, efficiently laid out records there, one old student remarked! ), see how things have changed (or stayed the same), and revive their memories. Sitting in the café one old student told Seher Zareen that he feels so happy to see more dinning choices, also ice cream and pop corns in the cozy café. With the semester well under way my, recommendation is this: Being involved with students’ societies is a great way to get acquainted with life on campus. You will get to work together with fellow students to plan and implement every aspect of the event you wish to plan. You will get to interact with agents and entertainers. You will gain skills such as communicating effectively, working together, planning and coordinating, paying close attention to detail, creativity, leadership, and responsibility. That is what you need in life. And it is fun, too! These skills will not only be useful to you as a student, but they will also make you attractive to potential employers. Groups of students and individuals are welcome to participate in any of the societies or clubs working in the Lahore School. Come and show off your exciting talents in just about any field. First, you have to belong to some of them. No matter what program students are pursuing, information and educational technologies can and are playing a pivotal role in studies these days. Just how studies are enhanced by technology? My to-ing and fro-ing in the labs and chatting with some of the users there (well, face to face) reveal how they have integrated computers in their learning. “I search and brows for the information that helps me stay ahead of others in class discussions,” says Syed Muhammad Hassan MBA 1. “Computer labs are one of the most productive hangouts on the Campus,” students think. The Lahore School 2004 football tournament concluded today in the lush green ground in the Main Campus. Dr. Shahid Amjad Chaudhry, the Rector Lahore School gave away the trophy to the winners. Competing teams included Bsc Hons 1, Bsc Hons 2, MBA 1, MBA 2 and MBA 2004 (ex). Total 11 matches were played. Semi finals were played between Bsc Hons 1 verses Bsc Hons 2 and MBA 2 verses MBA 2004. Bsc Hons 2 and MBA 2004 emerged as victorious and played final match on Tuesday, October 5 that was won by MBA 2004 by 4-1. MBA 2004 team included Adnan Ali Shah, Saqib Sattar, Shahid Sattar, Shehryar Tewana, Waseem Shezad, Omar Khan, Ahmad Nizami, Sami ur Rehman, Agha Ali, Hassan Hayat, Malik Shehryar, Hassan Ahmad and Sabi Mumtaz. World Teachers’ Day is observed in more than 100 countries to salute to the teachers and to highlight the educational needs of future generations in this increasingly complex, multicultural and technological world. Teaching, a profession of the future, as it is called is appealing intellectually, socially and financially as it makes the difference in lives of individuals as well as nations. Learning institutions, students and international agencies celebrate the day to highlight the importance of teachers’ role as architects of development. The theme of World Teachers’ Day this year is ‘qualified teachers to be recruited and trained’. Instigated by UNESCO in 1994, the day is an annual reminder of the global goal of ‘education for all’ by 2015. According to UNESCO, World Teachers' Day represents a significant token of the awareness, understanding and appreciation displayed for the vital contribution that teachers make to education and development. World Teachers' Day provides an opportunity to draw public attention to the role of teachers worldwide as well as to the crucial importance of the role they play in society. Lahore School Football Team will play finals against MBA (Ex) on Tuesday Oct 5, at 2.30 pm. The trouble with adjustment is that you have to belong to a place first. Recently, we have been gathering opinions from students at the Lahore School about how have they adjusted to the place they belong to -- the Main Campus. “Since I was active in previous school, in the Lahore School I wanted to join a whole bunch of student clubs and societies and get involved in the Campus life to make it feel smaller and more at home. I won't tell you this has been an easy process, or that I'm now the most popular person on the Campus. Chances are, you've never heard of me, and chances are, you may never,” says M. Umar Shahid of the same class. “But I am belong here and am involved now,” he adds. Mehwish Naqvi thinks that students are quick at the uptake. They easily get acclimated to new surroundings. I faced the challenges here that I did as in junior schools except I am older now, some of us wiser, and most of us still looking for an identity. I feel this is important to say about adjustment because I know that I'm not the only person in my situation. I can imagine that there are so many in my shoes. I want to reach out to this community and say sometimes it's easy to adjust, sometimes it's hard to adjust, and sometimes adjustment comes when we least expect it. M. Umar Shahid suggests to those new at the Lahore School to get involved, get the place that feels comfortable and makes it your own. What other universities has so much opportunity in the life on campus? What campus has events like the movies in Aud 6 or the ability to reach out to JSTOR achieve at the click of the mouse? The reason every person comes to the Lahore School is different, but every person feels like being an important part of the university. To conclude, let me quote the old Chinese proverb by Lao-Tzu that says, "A journey of a thousand miles begins with a single step." Each step students take transfers them in new adventure at the Lahore School. Each step brings them closer to feelings like being a part of the School, a part of the community and ultimately gaining a second home here in the School. This blog has crossed 1000th unique visit mark over this weekend. What is more, the navigation of the site has been made easy. Hit counter as well as the link for Email to Editor has been added . Or else, send your feedback and contributions (along with photographs) on this address or drop a hard copy in the Editor’s Cottage (J-8). The Lahore School won a friendly football match against the Lahore Medical College on Friday October 1 by 6-1. Bsc Hons A played a football match on October 1 against Bsc Hons B and the Section A won the match by 4-3. MBA - 2 (Class-2005) students had a very fulfilling day while doing field work for their Marketing Project – How non-profit organization market their services? Students in groups visited SOS Village, SKM Hospital, Lions Club, Sahara, Fountain House and other non profit organizations for empirical observations and collection of primary data.